This Sunday, I accompanied the architect (Don Little of Little + Architects) to a three story medical building, that he designed for two orthopedic surgeons, to shoot the interior for him and the doctors. The building was recently completed, and the doctors moved into the third floor in late March. The building contains five of my photographs, printed on aluminum and box framed, and hanging in the first floor lobby and on the third floor. Below are photographs of the first floor main lobby. 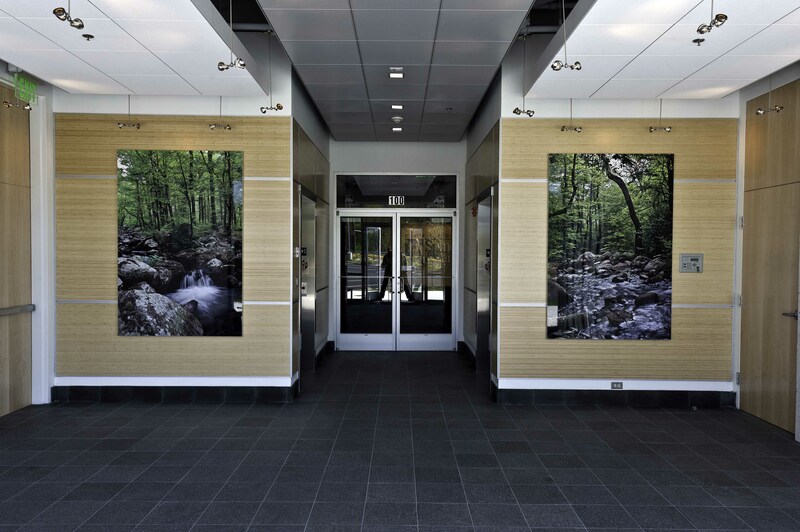 The two photographs in the lobby were taken on the Hazel River near Sperryville, VA and are 4′ wide by 6′ tall. 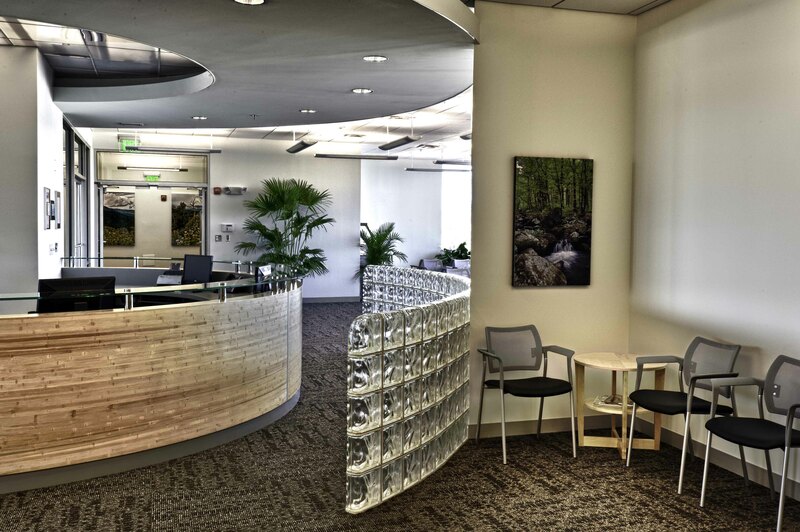 Below is a photograph of the doctors’ patient reception and waiting area on the third floor. On the far wall are two photos that I shot at Chincoteague National Wildlife Refuge. Although they look small, they are 4′ wide. Notice the very unique and contemporary design, by Don Little, of the front desk. To the right in this view (above) is another photo shot on the Hazel River. 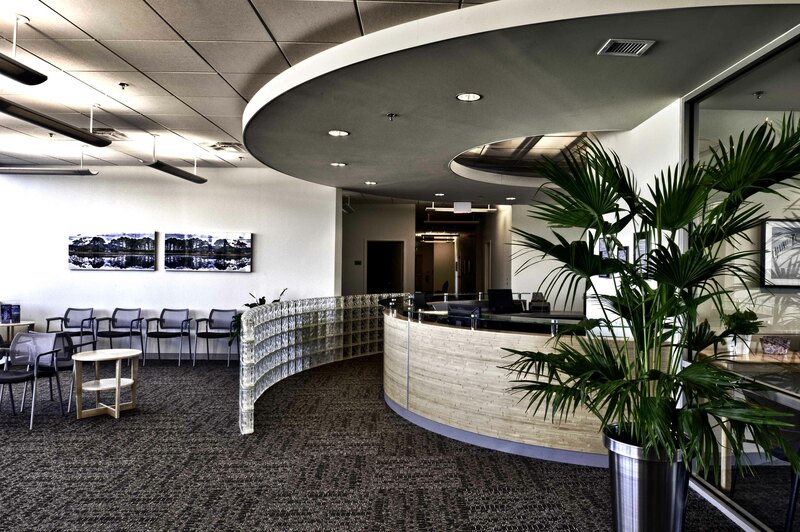 It is a smaller (3′ x 2′) version of one of the first floor lobby photos. Through the entry doors (upper left corner) are two more of my photos hanging in the entrance hallway. A photo of these images is below. It was a very rewarding project working with Don, the doctors and their business manager, that is not quite over since additional images will eventually be selected and printed for the second floor. This entry was posted in Uncategorized and tagged metal photograph prints, photography art, photography in medical building. Bookmark the permalink. Excellent! Great images for a beautiful building. There’s a lot to be proud of! Thanks Ernie. It was a great project for many reasons. The building looks great. I know everyone will love your photographs. Thank you Maryann. My primary objective was for the doctors to like them, and according to their business manager, they do. 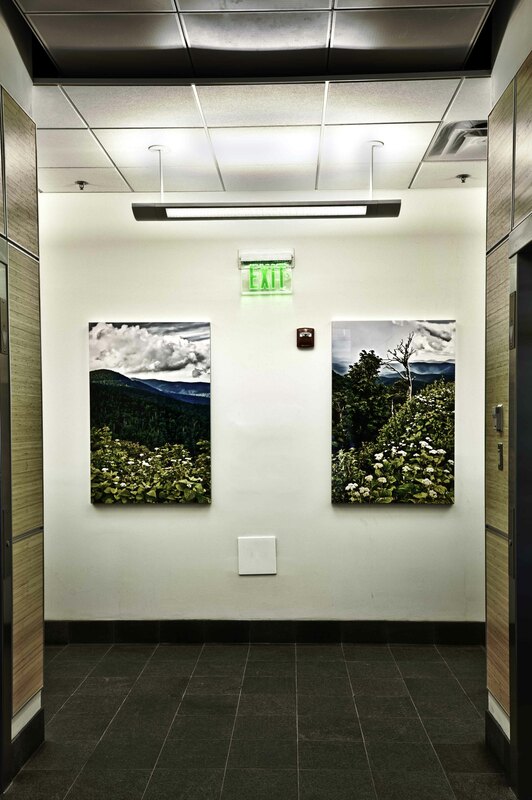 I am so appreciative of being able to see the beautiful photography that you have integrated into the lovely medical building and offices for the doctors with whom you have been working. 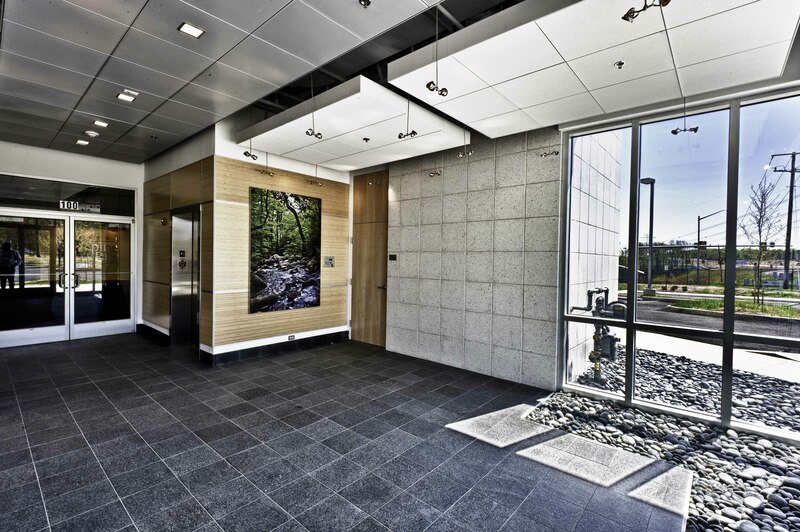 Your work complements the beauty of the building and brings to it not only artistic achievement in photography but also adds a serenity for staff and patients who spend time there. I truly enjoy being given this opportunity and thank you for sharing all of this with me. Evelyn–thank you for your very positive comments. It is wonderful knowing that you are keeping up with my photography and enjoying it. I love shooting nature photos and sharing them with people like you. Your photographs look wonderful and warms up the overall feeling of the building’s cool and modern design. Your photos will give the patients something beautiful and relaxing to focus on while they are there rather than their troubles. I can not wait to see when you install more … Congratulations!!! Thank you Anne. I appreciate that you are monitoring my photography so closely and regularly provide feedback. Looks great, Steve. Congratulations and nice work. Maybe it really is time to quit the day job. Great advice Karen. I think about it everyday. Amazing photos, Steve! You truly bring the building to life. Thank you for sharing your talent with us. You and Don are a couple of my biggest fans and supporters. Your positive feedback and friendship is much appreciated, and of course, I owe this project to Don for introducing me to the doctors.